Doesn't this clown EVER freaking STFU? I get so sick of hearing him yap. The Israeli airstrikes in Gaza continue. Just extrapolating from earlier unverified reports, 100 targets must have been hit by now. The strikes came after Israeli army sources said troops were being put on notice of "preparation for escalation". Despite the continuing rocket fire, Israel's prime minister, Binyanim Netanyahu, had shown a marked reluctance to be drawn into a military operation, offering Hamas "quiet for quiet" despite increasing political pressure from hardliners in his cabinet. The Israeli foreign minister, Avigdor Lieberman, on Monday formally announced his party was leaving the Netanyahu coalition over the Gaza issue. Jerusalem (CNN) -- An Israeli security operation against the militant group Hamas "will probably not end within several days," Defense Minister Moshe Ya'alon said Tuesday. The development appeared to confirm fears that the conflict would continue to escalate. "We will not tolerate rocket fire and we are prepared to expand the operation and to exact a heavy toll on Hamas," he said. Overnight, Israel ramped up its airstrikes on Hamas in Gaza. The Israeli military's Operation Protective Edge against Hamas has entered a "substantial phase," with airstrikes hitting around 50 targets, including militant houses and military compounds, Israeli military spokesman Lt. Col. Peter Lerner told CNN. "We are determined to restore a state of security," he said. Hamas security sources reported at least 60 Israeli airstrikes across Gaza, including from F-16s, Apache helicopters and drones. At least 18 people were wounded, according to Ashraf Al-Qidra, a spokesman for the Ministry of Health in Gaza. Palestinian Authority President Mahmoud Abbas called on Israel to immediately stop its strikes, warning the operation would drag the region into instability. Abbas said a truce was needed to "spare the innocent from mass destruction." The two sides have been trading fire over Gaza's border with southern Israel as tensions spiral upward in the region. The Israeli military has already called up several hundred reservists and is planning to recruit many more to strengthen its positions around Gaza "with a view to possible ground maneuvers," Lerner said Tuesday. During the last offensive on Gaza in November 2012, 30,000 reservists were called up. Over the past day, 80 rockets were fired from Gaza into Israel, Lerner said, adding that Israel is prepared for the possible threat of long-range rocket fire. Hamas' arsenal is estimated to have 10,000 rockets of varying ranges, according to Lerner, including some that can reach as far as north as Tel Aviv and beyond. "They have substantial armaments which can strike the soft underbelly of Israel," he said. Israel says the aim of its offensive is to strike Hamas in Gaza and stop rocket fire into Israel that threatens civilians. "It's an unacceptable situation," Lerner said. "We're not willing just to let it go by and we have to operate in order to protect them." Lerner said at an earlier news briefing that the Israel Defense Forces' position had changed from focusing on deescalation to preparing for a deterioration of the situation. The conflict between the two sides has worsened in the past few days. Israeli strikes on Gaza during Sunday night into Monday killed eight Palestinian militants and wounded at least 15 people, according to the Health Ministry in Gaza. "The enemy has crossed the red lines and will be made to pay the price for its crimes," Mushir Al-Masri, a Hamas leadership figure and member of the Palestinian parliament, wrote on his Facebook page Monday. "The blood of our martyrs is precious ... and is fuel for the intifada and the resistance." After that statement, the barrage of rockets from Gaza into Israel increased, with Hamas claiming responsibility. The conflict is creating strains within the governing coalition of Israeli Prime Minister Benjamin Netanyahu. Foreign Minister Avigdor Lieberman, head of Yisrael Beiteinu party, said in a press conference Monday that he told Netanyahu of his intention to dissolve his party's joint faction with Netanyahu's Likud party, saying it was "not working." Lieberman criticized Netanyahu's handling of Gaza. Tensions are also increasing between Hamas, which controls Gaza, and the more moderate Palestinian Authority in the West Bank. The Gaza situation has deteriorated amid anger over the kidnappings and killings of Israeli and Palestinian teenagers. The bodies of three Israeli teenagers, who had been missing for nearly three weeks, were found last week in a field in the West Bank. 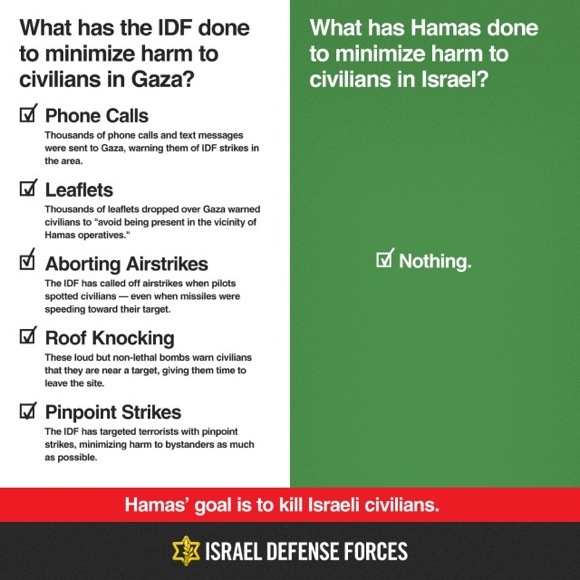 The Israeli government blamed Hamas for their deaths. The militant group had praised the kidnappings but denied it was responsible. Two days after the Israelis' bodies were discovered, a Palestinian teenager, Mohammed Abu Khedair, was abducted near his home in east Jerusalem. His charred body was later found in a forest. Israeli police have said there is a "strong indication" the Palestinian teenager's killers may have been motivated by a desire for revenge. His death, condemned by leaders from both sides, sparked clashes between Palestinian youths and Israeli security forces in several areas of Jerusalem. Police have questioned six suspects about what they did "before and during the murder" Abu Khedair, Israeli police spokesman Micky Rosenfeld said Monday. Israeli authorities announced over the weekend that a taxi driver had confessed to killing an Israeli Jewish teen in May. Shelly Dadon, 19, was kidnapped, stabbed to death and left in an abandoned parking lot. The suspect's motivation was believed to be Palestinian nationalism, police said. IAF strikes 50 targets in Gaza Strip as rocket fire on Israel's south continues. Israel launched a series of airstrikes on Gaza militants early on Tuesday, dubbing the offensive "Operation Protective Edge." More than 50 targets were hit in the offensive. Meanwhile, rocket fire on Israel's south continued. According to the IDF, eight projectiles were launched between 2 and 6 A.M. Militants in Gaza fired more than 85 rockets toward Israel on Monday evening, with Hamas openly claiming responsibility for some of the launches for the first time since the current round of fighting began. The rockets hit several major cities in the south and, also for the first time in the current fighting, caused alarms to go off in central Israel and Jerusalem. The barrages lightly wounded two Israelis and caused property damage. The Israel Defense Forces called up 1,500 infantry and Border Police reservists in preparation for further escalation, after the security cabinet decided on Monday afternoon to intensify attacks against Hamas and other terrorist groups in the Gaza Strip. A senior official said the ministers want to refrain from a large-scale military operation for now, but they instructed the army to prepare for significant expansion of its current operations. Click here for Monday's live blog. 11:28 A.M. The IDF intends to call up several thousand more reservists, in addition to the 1,500 already called up, to replace infantry and tank battalions deployed in the West Bank. These battalions will be sent to South Command ahead of a possible ground offensive in Gaza. 10:00 A.M. Defense Minister Moshe Ya'alon is expected to declare a "special situation" in Israeli communities located 40 kilometers away from the Gaza Strip. A short time ago Ya'alon held a discussion on the issue with Home Front Commander Brig. Gen. Eyal Eisenberg and other high ranking officials in the defense establishment. 8:37 A.M. Palestinians report at least 17 wounded following the IDF airstrikes in the Gaza Strip overnight. Among the wounded are nine family members from Khan Yunis who suffered light to moderate wounds when their home was bombed, and two children, a seven-year-old boy and a four-year-old girl, who were moderately wounded. According to reports, Israel Navy Dabur class patrol boats also participated in the overnight bombings, and targeted an Izz a-Din al-Qassam base northwest of Khan Yunis. Targets in the Rafah area and in the central Strip were also attacked, and at least three youths were wounded in the central Strip, two of them moderately and one seriously. To the north of the Strip, hits were reported in open agricultural areas in Beit Hanoun and in sites northwest of Gaza City, including a Hamas base near Jabalya. 6:48 A.M. A military source said in a media briefing that Operation Protective Edge will be expanded in the coming days, and will include prepping up forces for a ground invasion of the Gaza Strip. According to him, "The operation will intensify with regards to the quality and quantity of targets the Israel Air Force is attacking in the Strip, after Hamas stepped it up yesterday. The IDF is continuing to draft forces for the Strip, and intends to draft more, even though the effort is currently concentrated on IAF strikes." They do this for a reason. Gives them moral high ground when the rest of the world condemns them for killing "innocents". The Israeli cabinet has approved the call-up of 40,000 reserve soldiers. Last edited by Lilbitsnana; 07-08-2014 at 08:17 AM. Oh, I know. It is just irritating that their enemy hides behind their women and children while they lob missiles over into Israel, and the Israeli government feels compelled to risk harm to its citizens in this way. I would hope (with rational leadership, ha!) that if, say, Mexico were to launch an attack into El Paso, we'd go in as quick as possible and obliterate the attackers. We wouldn't give them 48 hours to stop trying to kill our citizens. Damn "world opinion", protect your people. Boy, do I hear ya on that! I'm reminded of a joke about an Israeli, a German, and an American being captured by headhunters while on safari. The headhunter says they can each have a wish before he lops of their heads. The American wishes for a hamburger and is given time to eat it. The German wishes for a beer and after finishing it the headhunter asks the Israeli what his wish is. The Israeli produces a gun ( I like to think it is a Tavor-21 ) and shoots the headhunter dead. The German and American are dumbfounded and say to the Israeli, "If you had a gun the whole time, why did you wait so long? Why didn't you just shoot him, right away?" The Israeli replies, "What and face world condemnation for acting too quickly?" There was an attack on a house in Khan Younis causing a number of casualties which vary by source. + An Israeli site quotes Gaza sources as saying that the house belonged to a commander in the al-Qassam Brigades, the armed wing of Hamas. in order to demonstrate that they have the capability. + That quote actually referenced rockets with a range of 80 km, which would take them about 10 km north of Tel Aviv. Channel 10 (IL): Although a call-up of 40,000 reservists has been authorized, not all of them will immediately be put into action. There was an Iron Dome interception over Ashkelon, otherwise the same steady stream of short-range rocket fire from Gaza continues. Now there are warnings for longer range rocket fire, places like Gedera and even Rishon LeTzion. Also Rehovot. Before Nov 2012 this was well out of range for Gaza rocket fire. Reshet Beit (IL): Continuous IAF attacks in Gaza since 10:30. Focus is on targeted assassinations, including residences of Hamas activists. I would guess that an IDF ground operation is almost certain now? So much happening. Sirens, explosions, closings, alerts. To much. URGENT: Rocket sirens going off in Tel-Aviv. 1 to 2 rockets just fired into Tel-Aviv. Iron Dome interception of at least 1. Are you kidding? The Pals will whine forever, they never blame themselves. #BreakingNews: #Gaza Izzeddine-al-Qassam will make an announcement within 1hour on "escalation & joining forces w other Palestinain groups". claims responsibility on Rocket attack towards Tel Aviv. Channel Description: i24news is an international 24-hour news and current affairs television channel based in Jaffa Port, Tel Aviv. It started broadcastin in 2013. Not confirmed: The Palestinian Islamic Jihad claimed responsibility for the rocket fired at the Tel Aviv region. This was said to be an "M-75", which is produced in the Gaza Strip and based on the Iranian "Fajr-5". Despite the closure on Gaza, there have been reports that components are constantly being smuggled in, from which rockets are assembled. 7:05 P.M. Rocket alert sounds in central Israel, including major cities such as Tel Aviv and Rishon Letzion. Iron Dome intercepts the incoming rocket. 6:26 P.M. Israeli government approves call-up of up to 40,000 reserve soldiers. Can't imagine how citizens of the south deal with this on a regular basis. Thank god for #IronDome and the men and women of the #IDF. Some nasty pro-Pal tweets on this twitter too. I won't post them. Hamas terrorists scheduled a Press conference at 8:00pm. Lol! What?!? Hamas has a navy?!? I think I'm going to go outside with a bowl of popcorn and watch the show. #Gaza shines so prettily when the #IDF sets it on fire.